What To Do For 21st Birthday? Answer a series of fun questions to find out how you might best enjoy celebrating your 21st birthday. The results might surprise you! So, are you ready to make a wish? 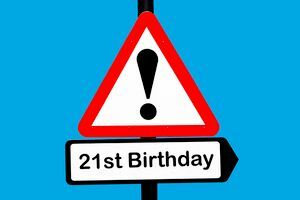 This quiz will help you plan a fabulous 21st birthday, just the way you like it! The quiz takes into account your personality, interests, likes and dislikes, and it will give you an excellent birthday suggestion. Is your 21st birthday coming up? Are you struggling to decide how to best celebrate this milestone birthday? Take this fun personality quiz, and let us help you make this decision.